Despite enormous challenges faced by the education sector, Saint Lucia has achieved a measure of success in realising the vision of a literate, informed, creative and productive society and in implementing the Millennium Development Goals (MGDs). Therefore, I am quite pleased to announce that Saint Lucia has achieved universal primary education, and is now working towards universal early childhood development. Our main goal is to ensure that students are at the centre of the development agenda of the education system and as such, the Ministry of Education, Human Resource Development and Labour strives to provide all children and youth with opportunities to access high quality education and training that would improve their life chances and to make them internationally competitive. The Ministry of Education, Human Resource Development and Labour is responsible for equipping all learners with skills, knowledge and attitudes to face the global challenges of the new technological environment. In this regard, the government of Saint Lucia views the development of our Human resources as the basis for social development and sustainable economic growth. The introduction of Universal Secondary Education (USE) in 2006/07 was a great accomplishment for the Government of Saint Lucia. The implementation of USE addressed an inequity in the system where only students who succeeded the Common Entrance Examination at the end of primary school went to a secondary school. Traditionally, students from low socio-economic families were those most likely at risk of not accessing secondary school education. Since the achievement of USE, there has been an overall increase in the gross enrollment rate (GER) and net enrollment rate (NER) in Saint Lucia. GER increased from 76% in 2005/06 to 98.4% in 2010/11. Efforts to reduce inequity and ensure the participation of all students have resulted in a significant improvement in student support services available to vulnerable and at-risk students. The advent of USE has revealed certain deficiencies in our education system which we are currently grappling with. The reality of male underachievement is of concern to the Ministry of Education – There appears to be gender disparity at the secondary and tertiary levels as females continue to dominate in terms of performance and enrolment figures at post secondary and tertiary levels. Gender disparities also exist in the choices of subjects taken at those levels. Males outnumber females in the subjects (Science, Technology, Engineering and Mathematics) STEM, while females outnumber males in subjects traditionally associated with care giving. National and regional high stakes examinations continue to indicate deficiencies in literacy, numeracy and technology. Also, the proportion of learners achieving their full potential or achieving adequate skills remains small. In response to these deficiencies, Saint Lucia has partnered with the Commonwealth Secretariat through its Social Transformation Programme Division (STPD) for assistance in developing an intervention strategy to address the issue of male underachievement, and eliminate gender disparities in secondary/post secondary/tertiary education. Two programmes designed to provide students in Saint Lucia with a second chance to access training are also being supported by the Government. These programmes – Center for Adolescents Rehabilitation and Education (CARE) and National Skills Development Programme administered by the National Skills Development Centre (NSDC), provide students with the opportunity to acquire competencies in English and Mathematics as well as skills in technical and vocational areas. In addition, the Ministry of Education, Human Resource Development and Labour in collaboration with the Caribbean Development Bank, under the Basic Education Enhancement Project (BEEP) continues to train a cadre of primary, secondary and special education teachers to enhance teaching methodologies and techniques in order to improve student performance at both primary and secondary schools. The European Union (EU) funded Education Enhancement Through Information and Communications Technology Programme (EETICT) also seeks to improve the learning and teaching processes in schools through the appropriate use of ICT in schools and communities in Saint Lucia. The government of Saint Lucia is unwavering in its efforts to support the education system in ensuring the delivery of a more effective education service. Dr. Robert Kennedy Lewis, an Educationist/Mathematician by Profession and Training, graduated from the University of Otago, Dunedin, New Zealand with a PhD in Mathematics in January 2005. Prior to this achievement, Dr Lewis pursued studies in Teacher Education, Mathematics and School Management & Administration. He holds a Certificate in Teacher Education from the University of the West Indies, a BA (Hons) degree in Mathematics from Saint Mary’s University of San Antonio, Texas, an MPhil in Mathematics Education from the University of Cambridge, England and a Post Graduate Executive Diploma in School Management and Administration from the University of the West Indies, St. Augustine Campus, Trinidad. Dr Lewis began his teaching career in September 1984 as a classroom teacher at the Ciceron Combined School, in Ciceron: the community where he grew up and continues to reside. In September 1991, Dr Lewis was assigned to the St. Mary’s College where he served as a Teacher of Mathematics. He served as the Head of the Mathematics Department at St. Mary’s College from September 1995 to July 1997. His leadership skills landed him the position of Acting Vice Principal of St. Mary’s College in September 1998, a stint which lasted until August 2000 as he made preparations to pursue further studies. Upon his return to Saint Lucia in 2005, Dr Lewis joined the Sir Arthur Lewis Community College where he served as a Lecturer of Mathematics and Statistics within the Division of Teacher Education and Educational Administration. He held that position until August 2006 when he entered elective politics in Saint Lucia. In December 2006 he successfully contested the Castries South Constituency under a Saint Lucia Labour Party ticket. As Parliamentary Representative for Castries South in the House of Assembly and a member of the Opposition, Dr Lewis was appointed as the Saint Lucia Labour Party’s spokesperson on Education, and Home Affairs and National Security. Notwithstanding his position as Parliamentary Representative for Castries South, in 2007, Dr Lewis took up a position with Monroe College as Professor of Mathematics and Statistics. By 2008 Monroe College offered him the position of Director of the MBA Programme at the Saint Lucia Campus with special responsibility for overseeing the entire set up and operation of its new MBA degree there. In 2009 Dr Lewis then moved on to the Position of Academic Dean at Monroe College, Saint Lucia Campus, a position he held until December 1, 2011. In the General Elections of November 28, 2011, Dr Lewis successfully regained his seat in the Parliament of Saint Lucia. 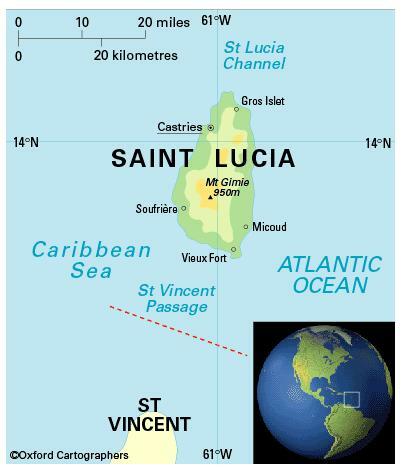 Moreover, the Saint Lucia Labour Party formed the Government. Consequently, on Tuesday, December 6, 2011, Dr Lewis, the elected Parliamentary Representative for Castries South, was appointed a minister of government, to serve in the capacity as Minister with responsibility for Education, Human Resource Development and Labour. Dr. Lewis has had a good range of teaching, education management and administrative experience and has served substantial periods as head of academic departments within the various educational institutions where he has worked. Additionally, Dr Lewis has always found time to serve his local church in various capacities: Youth Leader, Sabbath School teacher, church elder, SDA School Board member and Church Board member. In fact Dr Lewis is an ordained elder of the Castries Seventh-day Adventist Church. Throughout his working life Dr Lewis has continued to serve in the capacity of lecturer, tutor, church leader and public speaker within various organisations and educational institutions. He has participated in many mathematics and education seminars, conferences and colloquiums nationally and internationally. Dr Lewis is a community activist and sports enthusiast. The St Lucian government spends around 25% of its national recurrent budget on education. St Lucia’s Ministry of Education and Culture works to provide students with technological resources, an up-to-date education sector and well-trained teachers and administrators. There are ten years of compulsory education starting at the age of five. Primary school comprises seven years and secondary five, with cycles of three and two years. Some 92 per cent of pupils complete primary school (2010). The school year starts in September. The Sir Arthur Lewis Community College, at Castries, offers a diverse range of courses – including associate degree, diploma and certificate courses – and 89 per cent of its students are female (2011). St Lucia shares in the regional University of the West Indies, which has its main campuses in Barbados, Jamaica, and Trinidad and Tobago. The female-male ratio for gross enrolment in tertiary education is 2.2:1 (2012).